Baotou is the second largest city in Inner Mongolia and home to a diverse population formed of various ethnic groups. The city’s most commonly used name, Baotou, is Mongolian for ‘place where deer live’, because the region is home to many deer, which were found when the city was first discovered. Owing to its mountainous location, Baotou endures long, cold and dry winters and hot humid summers. That said, it also means the city is blessed with unique scenery that captures many a visitor with its beauty and is sure to keep you entertained for the duration of your stay. This combined with the fascinating history and extraordinarily diverse culture make for a fascinating, unparalleled experience of China. If you choose to teach English in Baotou, you will work for one of our longest standing private school partners. This organisation has built a well-established and highly respected brand across China, and this is one of hundreds of learning centres across the country. You’ll teach classes of no more than 15 students, and you’ll get the chance to teach a range of age groups and abilities. High performing teachers will get the chance to progress to other roles within the business and move to work in other regions following contract expiration. Our Baotou teaching placements includes structured support and training before and during your contract, a net salary of up to 9,000 RMB per month, a TEFL, medical insurance, reimbursement of flight and visa fees, and regular teaching modules to help your progression. Salary level may differ depending on your experience, though as a relatively underdeveloped region of China, your salary will go a long way. Our partner organisation offers all teachers in Baotou free accommodation within a shared apartment. Apartments are comfortable and equipped with all essential amenities and a western toilet. Should you wish to find your own accommodation, the school will help you do so, as well as provide an additional monthly living allowance to put towards the rent. Rental prices of apartments in Baotou range between 1,000 – 2,000 RMB per month, depending on location. This is optional, and all teachers will be offered free accommodation. Baotou’s unique setting and long, rich history means there is a lot to see and do both inside and out. Whether you’re into culture or nature, there’s something for you. Here you’ll find some of the best attractions “Deer City” has to offer. Wudangzhao Lamasery: As the only intact lama temple in Mongolia, this is one of the regions top attractions. Featuring a famous Tibetan Buddhism shrine that’s said to be on par with Potala Palace in Tibet, the Lamasery gives visitors an authentic experience of traditional Tibetan architecture and understanding of Buddhism in Inner Mongolia. Singing Sand Ravine: Located 50km south of the city, these vast undulating sand dunes are one of Baotou’s most popular scenic spots. The area stretches as far as the eye can see, giving you the sense you’ve stepped into a different land. It’s possible to explore the area on camelback, dune buggy or sledding, the latter of which will show you how the attraction got its name. Jiufeng Mountain: Located in the middle of the Yinshan Mountains, Jiufeng Shan is considered to be one of the nation’s most majestic. The mountain features rocks of various shapes and sizes, gushing waterfalls and various flora and fauna. This area makes for a great place to escape the city and explore the regions stunning beauty. Genghis Kahn’s Mausoleum: Built in 1954 for the Mongolian hero, this mausoleum is a place of true significant to Mongolians. It’s a sacred place where locals gather to pay their respects. The mausoleum is built in traditional Mongolian style, featuring three grand halls shaped like Mongolian yurts. Owing to its northern location, Baotou’s cuisine is primarily formed of beef, mutton and noodles. It is known for its strong flavours and warming qualities, almost like Chinese comfort food. Genghis Kahm Teppanyaki: A kind of barbecue dish, this is formed of grilled sliced mutton, beef, pork, chicken, fish and shrimp served with a local sauce. The dish’s name originated from the fact that Genghis Kahn supposedly enjoyed eating meat this way, and he brought it to Central Asia and south Russia where it’s enjoyed today and known as Teppanyaki. Dexingyuan Shaomai: This type of steamed dumpling has been a popular snack of the region for many years. Its thin skin is made from high quality wheat flour, which is stuffed with fresh mutton. Shaomai is usually served as dim sum and is today known and consumed around the world. Mongolian Hot Pot: Originating from the Yuan Dynasty, this is a typical Mongolian dish that consists of thinly sliced meat that’s boiled in flavoured hot pot water. The cooked meat is traditionally eaten with a flavoured paste made of pickled tofu, sesame sauce, shallot and various other ingredients, as well as vegetables and noodles. 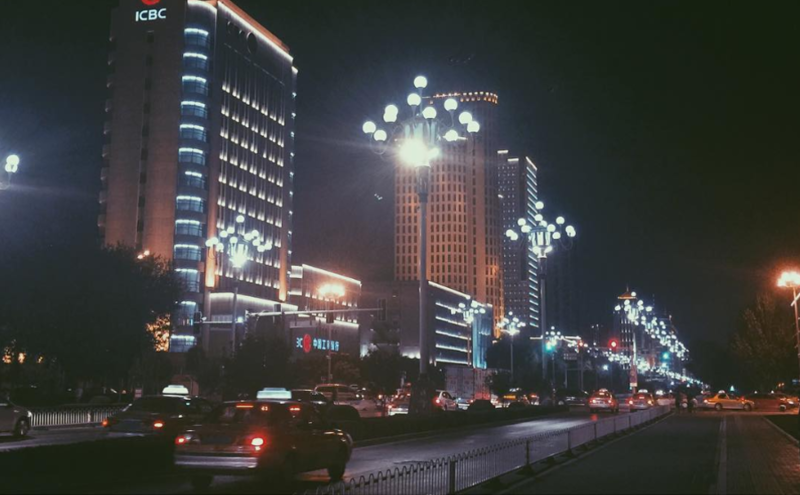 Baotou isn’t known for its up and coming entertainment scene, and western-style nightlife is hard to come by. The city has held on to its tradition, meaning it’s easy to experience authentic cultural traditions and customs. Music and dance are very important parts of the local culture, and this is displayed through various traditional fairs such as the Nadam Fair. Such events include entertainment, competitions, and performances such as wrestling, archery and horse racing. Baotou Amusement Park is popular among the locals, who prefer to entertain themselves and socialise outdoors. You’ll find over 130 squares, like Aerding Square, where people partake in various activities. Despite being very tradition, it’s still possible to find a small bar street, teahouses, cafes and fitness centres. Interested in teaching English in Baotou? Check out our Private School Teaching Programme, or apply now to start your teaching adventure in the stunning “Deer City”.